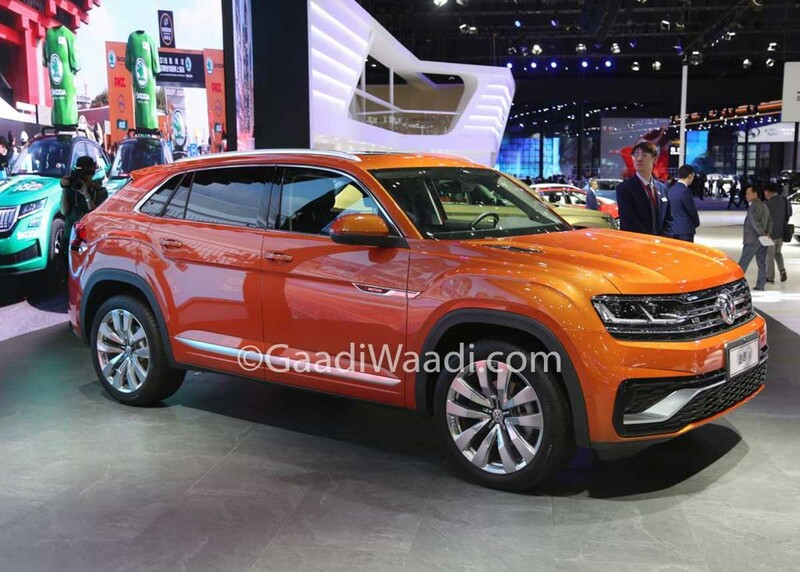 At the 2018 New York Motor Show, Volkswagen revealed the Atlas Cross Sport concept and its production version was expected down the line. The 18th edition of Shanghai Motor Show that opened for press today has seen the concept’s road-going avatar in the form of Teramont X getting unveiled. 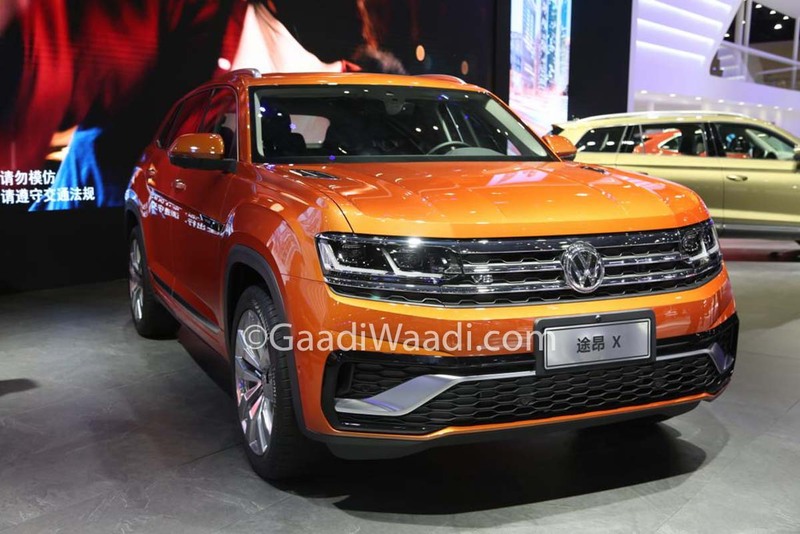 The Volkswagen Teramont X is a conventional take on the Atlas Sport concept yet retaining the uninterrupted body lines and curves. 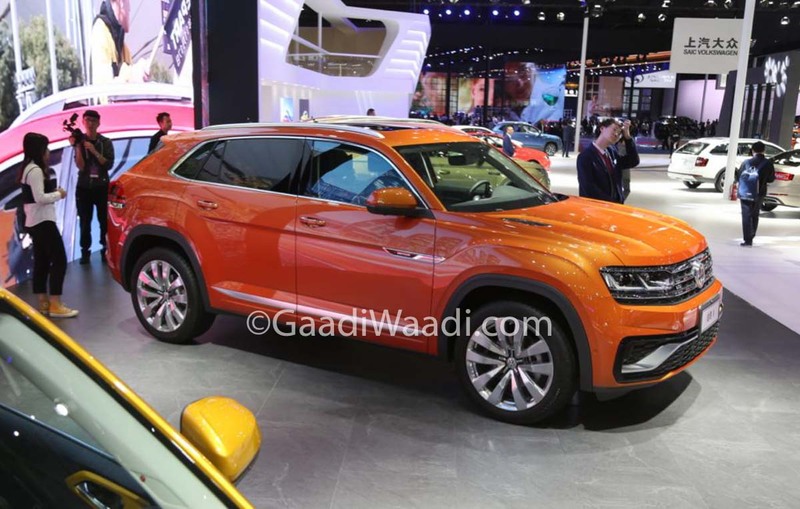 The almost-square wheel arches and chunky 21-inch polished ten-spoke alloy wheels complement the big proportions enabling a large footprint to the SUV. The German manufacturer has surprisingly shortened the pillars but it has given a coupe-like roofline to the Teramont X. 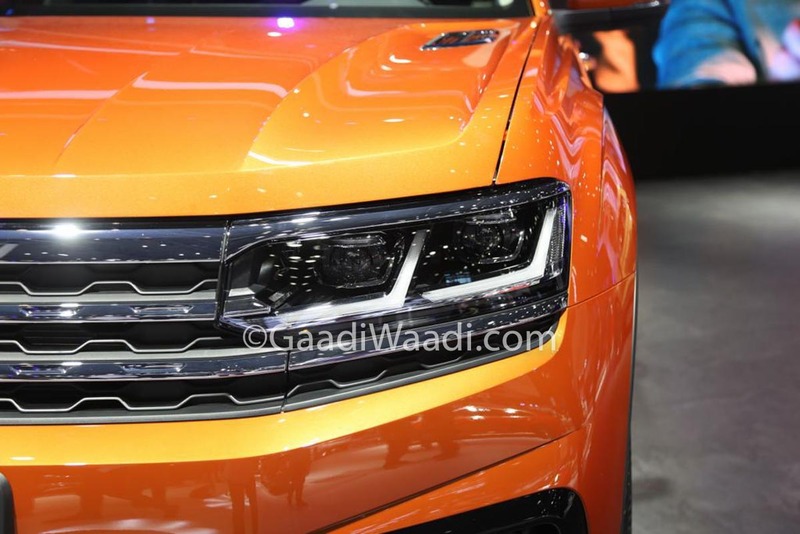 Up front, VW eliminated the prominent radiator grille with LED strips in favour of thick chrome strips housing the sleek headlamps. The front bumper has an aggressive lower grille with a perhaps aerodynamically beneficial lip spoiler. 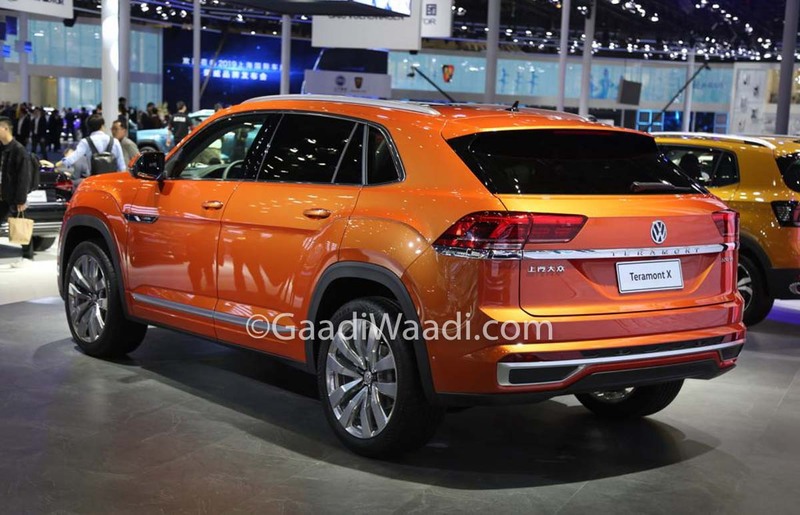 Other major exterior highlights are horizontal LED tail lamps, chrome strip covering the rear width, dual trapezoidal exhaust pipes, silver roof rails, black cladding surrounding the wheel arches and pronounced silver side moulding. On the inside, the Volkswagen Teramont X offers room for five people and a 9.2-inch touchscreen infotainment system sits in the middle of the dashboard. A 10.25-inch digital instrument cluster is another key attraction of the cabin along with quilted seats, flat-bottom steering wheel, dark ambience and use of soft-touch materials. The V6 badge on the front grille and 4Motion inscription indicate the presence of a 3.6-litre V6 engine developing 276 horsepower and 360 Nm. It will be mated to an automatic transmission sending power to all the four wheels. 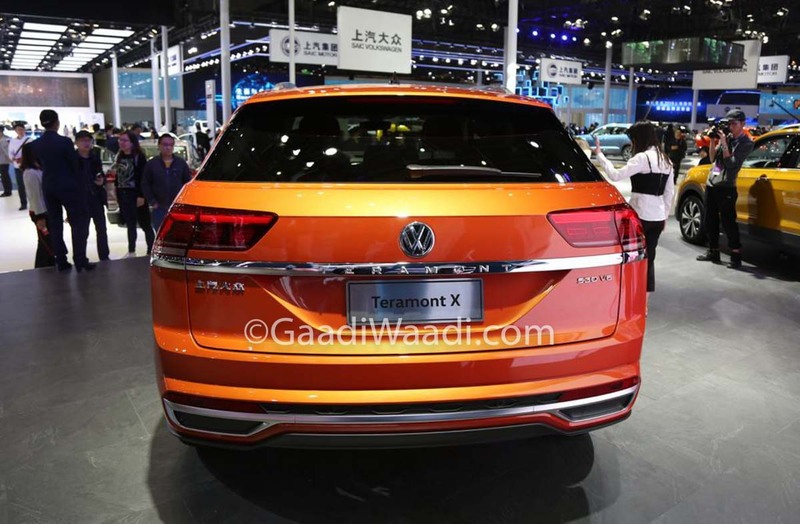 Volkswagen will start accepting bookings for the Teramont X next month in China and it could enter other markets too in the near future. VW has showcased a range of SUVs and crossovers in Shanghai to attract customers and show-goers.